One of the benefits of modern technology is a huge range of different solutions to the same problem. And so it is with note-taking in class. The traditional pen and paper is at one end of the spectrum with a whole range of devices and apps at the other. How do you choose the best route for you? Some studies indicate that students who hand write notes are more able to understand and remember lecture material than those who type. This can be especially true if you use a tried-and-tested system for note taking. Research by Mueller and Oppenheimer shows that students who write out their notes on paper actually learn more. One of the most popular systems is the Cornell Method whereby you divide your notebook pages into three sections. A larger right hand section for general comments, a narrower left-hand area to use later for key words and phrases, and a section at the bottom of the page for a short summary. Many ICAS students like to annotate the printout of their lecturer’s notes, so that all of their material can be found in one place. But some students prefer to type their notes on a laptop or tablet during lectures. Typed notes are much easier to save, edit, format and read notes. The biggest danger is falling into ‘transcribing mode’, that is writing down everything the lecturer says without discerning the key points. As most people type more quickly than they write, there is less quality processing time before moving on to the next item. 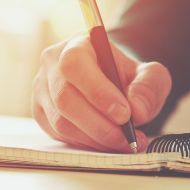 A neat solution to the dilemma of whether to choose the better learning that comes from handwriting or the more useful route of creating typewritten notes is to find a way of digitising your written notes. 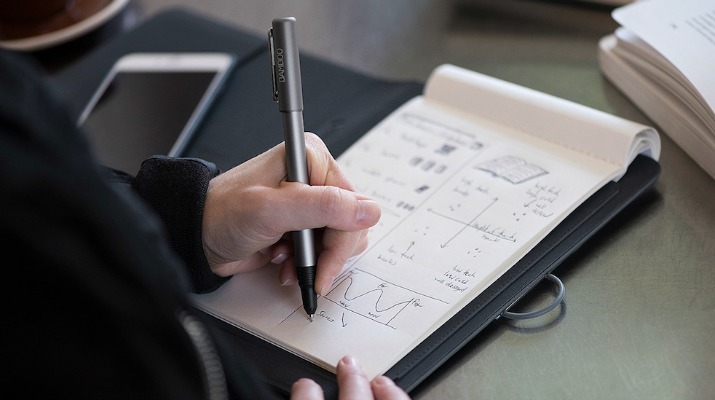 Wacom has created the Bamboo Spark, a ‘smart folio’ that allows you to take a handwritten note that stored digitally and can be sent to your phone or tablet. Once there the notes can be edited and adapted – something you can’t do with a smartphone photo of your notebook page. We have a Bamboo Spark to give away to an ICAS student. The device is described by the manufacturer as a ‘second brain’ bridging the gap between trusted notebooks and your digital world. Drop us a quick email to earnison@icas.com, if you’re interested. Once you’ve used the Bamboo Spark for a while, we’d love to hear how you get on with it.